How to Build Backlinks by Commenting on Dofollow Comment luv Blogs? Home » How to Build Backlinks by Commenting on Dofollow Comment luv Blogs? Blog Commenting is a popular method to build high quality backlinks. You can Get High PR links from Authoritative blogs and also drive a decent amount of traffic if you are an active commenter. But the main problem, only few bloggers know How to build Backlinks with Blog Commenting, All others just spam and thrown away on Spam Folder which resulting in Waste of Time. So, to solve this Big Problem, they should learn How to do it correctly. Here we will discuss about the same topic and try to learn what things are important while commenting on other blogs. So, lets start. Firstly We Need some perfect blogs to comment on. So, how you gonna find. Here I will show 3 different methods to do so. How to Find Dofollow Comment luv Blogs? 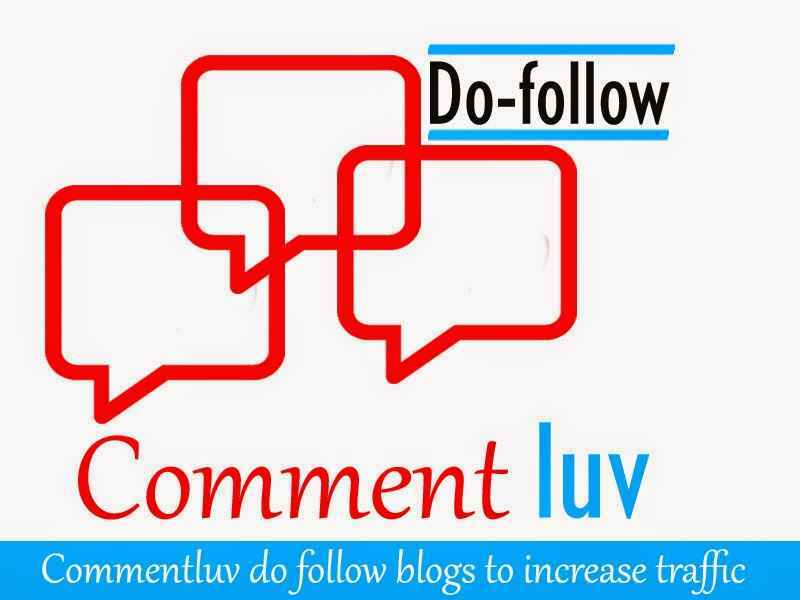 Method #3 :- Below is List of Dofollow Comment luv blogs 2014. Tips to Build Backlinks by Blog Commenting effectively? This is the simplest way to find Dofollow blogs. You just need to type the below given phrases in Google and Hit Enter. When Searching using these phrases, you will get a lot of Blogs where you can comment and drive traffic to your blog. Now, you will see a box where you have to put a keyword (Related to your Niche) and then, need to select a type of Blog you want (Select any including Edu blog, Comment luv blog, Keyword Luv Blog) and finally Hit Search Button. Now, you will get hundreds of blogs related to your niche where you can comment. Note:- We don’t offer any guaranty of above site. They may have disabled comment luv or may not. If they have, then, you can comment below to ask for removal of that link from this list. If you want high quality traffic coming from your comments, then, you have to be the first commentator. So, My advice will be to subscribe to related Niche blogs where you want to comment on and then, Put comment as soon as a new Post Published on that blog. Your comments need to be relevant to the Article and it should add some value to the site. Because if you left any non-relevant comment, then, it will be considered as Spam and you may be Banned on that site. So, before commenting, read the Article carefully and then, suggest some additional things to the Author which he might forgotten to include. Always try to stay active on some blogs because only then, you will get the desired traffic for your site. So, Select some of your favorite blogs and quickly start commenting. Additional Tip:- You must show a photo with your comment. To do so, get a gravatar or sign up with disqus commenting system. So, these are some Tips to comment on dofollow commentluv blogs. I hope this is helpful. Don’t forget to share this Article on Facebook, Twitter, and Google+. Thanks a lot for such a great post. Dofollow links really help in getting on to the first page of Google. Linking building is not easy. But with the information you shared here, seems like I can build them easily. Thank you so much for that awesome list, I have saved it on my notepad! I will follow your tips! Actually, I’m using DropMyLink to do this and now I see it in your article that means this is a good way and others are doing this too. I learn more in your article about how to keep giving value and gain value too. Thank you a lot for an informative article. Ya nice i was thinking writing about this commenting section of SEO, but you have done great JOB. Thanks!! Really Good list but here I can see some links are expired. So can you plz update them. Thanks ..
very informative post , Thank your Admin for your kind sharing. I will back you for more information about blogging. Hi, thanx for the tricks as for now I’m using Dropmylink. But reading your article let me learn more about new things, thanx for an informative post. Good Article Sanu but I think that only blog commenting is not the main focus now. As there are many other source also and I have also seen a site which is ranking too high with the keyword but not having any single Backlink. BTW Nice and helpful article. 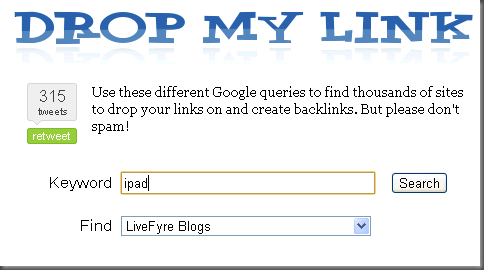 I use dropmylink after loosing it for a while I found it again and actually used it to find your blog it doesn’t disappoint when it comes to giving one results of blogs that are relevant to the topic. I feel that most of those blogs mentioned from the 2014 list needs to be updated. On planned blog commenting days I do indeed use the much loved most trusted DropMyLink, initially I had forgotten the url and was depressed for a long time till I stumbled upon it again only to find that they need one to register but thankfully they are still offering it for free, so yes DropMyLink gets my vote. I have been wondering why I was touring the whole internet when I can get almost all necessary tips and guidelines here. Thanks or such a useful post! Wow! Finally, now I don’t need to rely on CommenLuv blogs list I can find them on this tool. It’s so easy. Thanks, Buddy! Nice share!! Great Job Done!! I have been reading various articles and blogs for last couple of days to have information about how can we get high-quality backlinks in a very short span of time, then I found the same that blog commenting can be the one most operational thing in search engine optimization. Apart from drop my link option, you may use putmylink(dot)com which is a good source to find the best blog sites. I Can’t Leave Without Commenting Actually! I Must Say Awesome Article That Attracts Me To Read The Whole Article. It’s such an amazing article. It’s great to know how active you’re in the blogging community and providing such amazing tips and techniques. Keep inspiring. Yeah DROP MY LINK is a great way to reach the quality niche blogs and do follow comment blogs thanks for the informative article that you posted over here. Great post, I will use this list to find relevant blogs in areas of seo, technology and beauty. Thanks for the list – I just started using this plugin. I learned about it at drop my link, which is great. But this list is also very helpful to find the most relevant blogs to comment on! Thanks Atinder for the valuable information on ‘Premium commentLuv’ blogs. Drop my link is surely a great way to find such blogs. The weblinks of CommentLuv blogs are really helpful as well. Thank again. I have just started to research on the after-effect of blog commenting on Commwntluv enabled blogs. Just found this article while researching the same topic on the web and found this one very useful and inspiring. Thanks for sharing the important benefits and tricks of commenting. Thanks for the awesome tips on backlink building. I already use the Drop My Link tool, and I’m having great results with it. You can also use Drop My Link to find forums as well. Thanks for dropping such a informative article. I am already using one of the methods you mentioned. Will definitely be trying other methods too for seeking the results. I love the drop link method and the do-follow comment luv list is awesome indeed! Yeah commenting on dofollow commentluv blogs to build backlinks is a good way of building backlinks. Thanks. let me share my experience. i started my backlink building 2 weeks ago. and i receive tons of traffic in 1st week after build backlink using commenting..it worked! Awesome trick to build backlink for blog. Thanks for your valuable share on drop my link. It help me and save my time a lot. Great article which will surely help every blogger to build back link by the great method you showed in this post. Yes, i ma also using Drop my link. It’s work well. However, Thanks for sharing your post with us. Keep it up! and It works well for me. Your Post Really Nice! Thank You For This Awesome Article..Go Ahead. First I like to thank you for the list you have shared in this article. Secondly I loved the way to present it. Creating backlinks is very important part of website SEO! Google ranks your site on the basis of dofollow links it has, so dont ignore this part! Thanks for a huge list of commentluv blogs. I was using dropmylink for a while but now it asks for registration. I think putmylink is better than dropmylink now. Just waiting for next updates !! The link building can be created by different SEO methods and it has many benefits. this ia good method i like it ….. i also reviewed a tool on my website to make backlinks very easily and rapidly.. Thank you for sharing information about blogging. Keep it up as many people will learn through your blog, and of course including me. I’m using this tool and all is working well so far. But I want my visitors from other countries. So can you guide me about “How to get targeting visitors from other nations?” I’ll be waiting for your reply. Nice article . i want to ask you that i am commenting daily on a thousands of site but i am getting no response and no backlinks . i am regularly trying harder and harder to create my web position nice but i every time fail to do that so whats an opinion to help this out. Wow! Finally now i don’t need to rely on CommenLuv blogs list i can find them by this tool. Its so easy. Thanks Buddy! THIS ARTICLE IS VERY HELPFUL FOR MY NEW BLOG THANKS. Thanks for the great comment list ! I got some good tips for your article! Hey you have a great site clean design and this post is awesome. I also have a site but not like u My sit is a mess. Well i really like your blog keep posting like this and stay blessed. Have a nice day. Great article Atinder, I have a site http://www.onlinemoneymine.com and I am trying to increase strong backlinks. I will commit your points to mind and hopefully things will improve. thing that’s needdd on the internet, someone with some originality! Thank you for this article is very well written but mostly Thanks for the list. 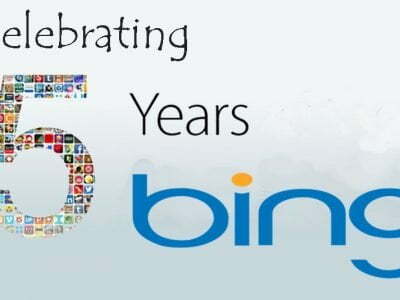 How a Search Engine Works?